IELTS, FCE, CAE or CPE Exam? is the question we are often asked by potential candidates here at Severnvale Academy. This depends, of course, on what your plans are. If you are aiming to study, especially at a university, or work in a country where English is the main language of communication, then IELTS (International English Language Testing System) is probably the one for you. There are two different types of IELTS tests: IELTS (academic) and IELTS (general). The IELTS (academic) is more appropriate for overseas students wishing to study at an English speaking university/Further Education college. 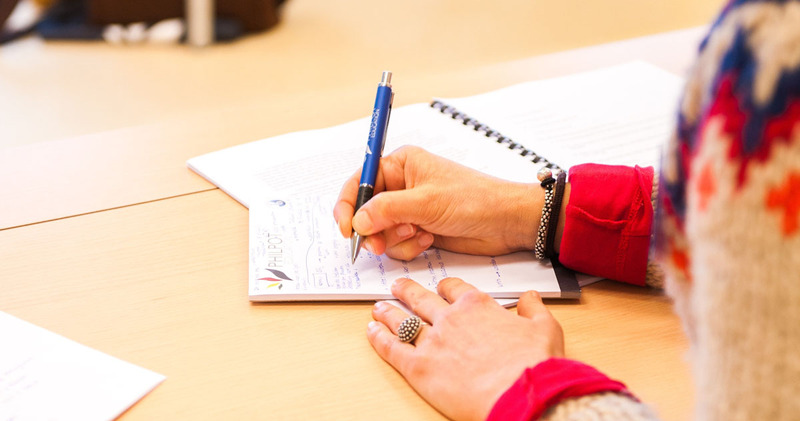 In this exam, the reading and writing papers are academic in style and content and the results will accurately indicate a student’s ability to communicate in English shortly before starting a course of study at a university or college. IELTS is made up of four parts: which are all generally taken on one day: speaking, listening, reading and writing. The result is a score ranging from band 1 to band 9. There is no pass or fail, but universities will only accept your application if you achieve the band they’ve asked for. This band can vary according to the subject you want to study. Many of our IELTS students at Severnvale go on to do postgraduate courses at British universities. IELTS (general) measures your English language level in a practical, everyday context. It focuses on general survival skills in broad social and workplace contexts. This version is often suitable for those who need a qualification for a visa requirement, or who plan to move permanently to an English speaking country, rather than go to a university. The reading and writing papers are more general in style and content. Like the Academic IELTS, it is made up of four parts: speaking, listening, reading and writing and the result is a score ranging from band 1 to band 9. There are now over 1200 IELTS exam centres worldwide. The IELTS paper-based test can be taken up to four times a month and candidates receive their results two weeks after the exam. Since 2016, computer based tests have become available as an option in many countries (but not all – check IELTS websites for more information). They are held more frequently and candidates receive their results within 5 to 7 days of sitting the test. The Cambridge exams can be taken at the main session times in March, June or December at centres all over the world, although there are now more opportunities to sit them at other times of the year. They can also be taken as paper or computer-based tests but you need to check with the exam centre if you wish to know which one they are offering. Unlike IELTS, candidates are given a grade A, B or C based on a numerical scale from 160 – the lowest possible score within C grade at FCE, to a score of 230 – the highest for grade A at CPE. These exams consist of four parts: Reading and Use of English (1), Writing (2), Listening (3) and Speaking (4), each paper making up a maximum 25% of the total marks. In the speaking test you have a partner with two examiners present and the test lasts for about 15 -20 minutes. The Cambridge English First or First Certificate (FCE–CEF:B2) is a globally accepted certificate, suitable for those of an upper-intermediate level and consists of testing real life English skills for work and study. It is recognised by a range of large companies and some universities also accept this qualification. The Cambridge Advanced or CAE (Cambridge Advanced English-CEF: C1) aims to develop skills to help you work, study and live in English speaking countries. The qualification can be accepted for visa applications to stay in many English-speaking countries. The same is true for the Proficiency/Certificate of Proficiency in English (CPE-CEF: C2). This is the most advanced qualification and a pass at this level proves you have reached a high competence in English, opening up more opportunities such as teacher training for EFL (English as a Foreign Language) or ESOL (English as a Second Language). If you prefer to focus on business English then consider the Business English Certificate (BEC). The BEC Vantage (B2) and Advanced (C1) qualifications are suitable if you want to work abroad or with international organisations in your own country. On these courses, business related subjects are taught in English so that you can use English confidently in a business related environment. Meanwhile, good luck, whatever your choice!